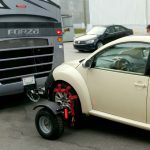 Is your rear end sagging? 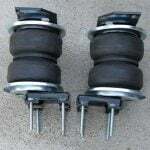 Air bag suspension mods for RV trailers and fifth wheels help lift your load, distribute your cargo weight, give better handling and a smoother ride for your RV tow vehicle. 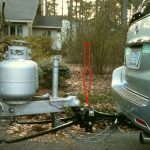 Hitching your trailer can be challenging and figuring out how to set the towed unit at the right height to connect the tow vehicle can drive anyone crazy. 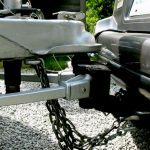 Runaway trailer wrecks are common but follow these simple trailer towing safety tips to help you avoid a highway disaster. 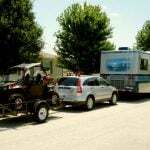 RV triple towing is a great way to haul all your toys, but it’s not easy. Consider the risks and individual state laws before you decide to take the leap. 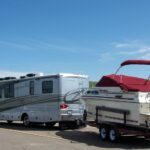 Even a slightly crooked campsite can cause sleepless nights. 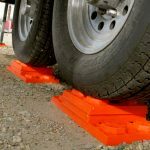 Learn to level your fifth wheel in these four easy steps and you’ll enjoy camping just about anywhere. Workamping Before Retirement Transformed Their Life – And Their Dogs, Too!